MSI Computer RX2600XT Diamond PCSTATS Review - MSI Mazarine - HDMI with Audio! MSI Mazarine - HDMI with Audio! As you can see the MSI RX2600XT Diamond is a long videocard. 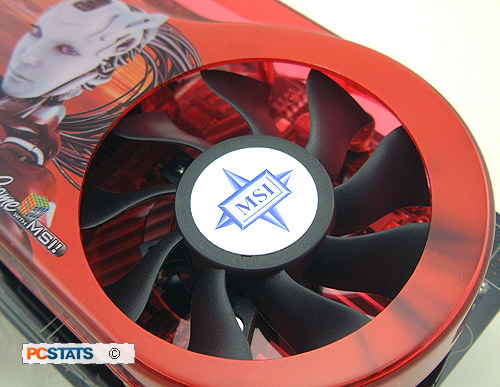 It's 230 mm in length and MSI installs a rather large dual slot cooler to keep the Radeon HD 2600XT core temperatures down without generating excessive noise. Even with the large cooler the MSI RX2600XT Diamond is pretty light, and not something you have to remove from the computer when transporting to a LAN party. Interestingly enough, MSI has chosen not to cool the memory on the back of the videocard. The memory on the front has its own dedicated heatsink. It's not that big a deal though, GDDR4 runs fairly cool, and during PCSTATS testing the Samsung BGA DRAM was only moderately warm to the touch. The 70mm fan is temperature controlled, so when it's installed into a case it will not be audibly noticeable. 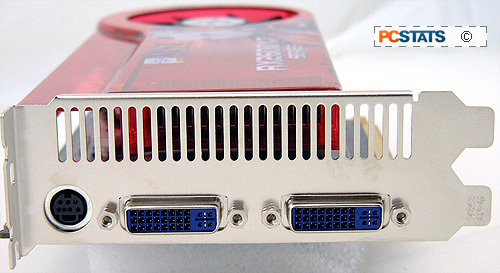 One thing you may have noticed about the MSI RX2600XT Diamond videocard are that its DVI connectors are coloured blue. It's what MSI calls 'Mazarine DVI' and that means that the DVI port can output video signals up to 1920 x 1200 as well as digital audio when used with the supplied DVI-to-HDMI adaptor! This is accomplished without connecting the videocard to an internal SPDIF audio jumper on the motherboard. The MSI RX2600XT has a built in audio codec which permits it to handle the audio stream, as opposed to Nvidia's solution which does not. 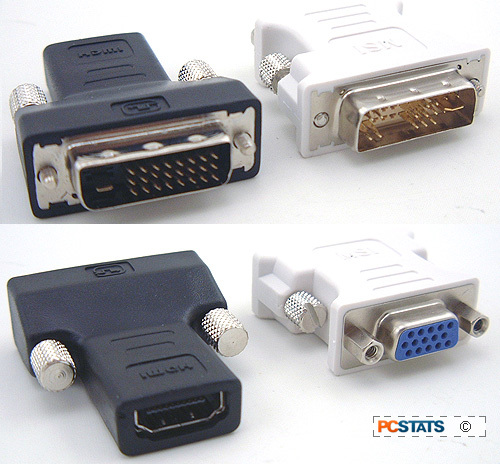 This is significant because up until now all computer DVI-to-HDMI converters only supported video output. Even at this time there is no nVIDIA alternative that is like MSI's Mazarine. 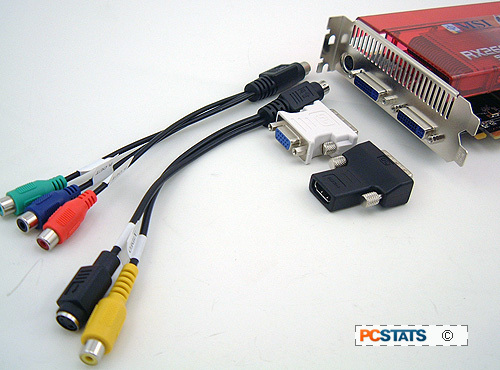 With the MSI RX2600XT and its proprietory Mazarine DVI-to-HDMI adaptor, you get both digital video and audio transmitted over the HDMI cable from the computer to your home theatre display. That cuts down on unnecessary cabling (both to the TV and within the computer) and makes set up much simpler. And I bet you thought it was just a blue DVI connector! Pg 2. — MSI Mazarine - HDMI with Audio!